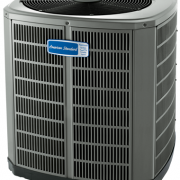 Residential Air Conditioning service is our specialty at Mechanical Climate Solutions. At MCS, we offer competitive rates and unmatched residential air conditioner service … from AC maintenance and tune-ups to AC repair and replacement. All of our HVAC technicians are highly trained and certified, and we are insured for your peace of mind. We offer 24 hour emergency service. When it comes to your home’s everyday comfort, don’t settle for less than the most qualified team of experts at Mechanical Climate Solutions. Call us at 314-825-2451 or Contact Us for a free estimate. When St. Louis temperatures soar and AC systems malfunction, Mechanical Climate Solutions is on call and ready to assist. We offer fast, affordable air conditioning repair 24 hours a day and 7 days a week. We service all makes and models of air conditioners. Choose MCS for superior quality, budget-friendly pricing, and exceptional customer service. Mechanical Climate Solutions is proud to offer a wide array of environmentally-responsible American Standard air conditioners to match any home and any budget. From the high-end Platinum series to the durable units in the Silver series, no matter which American Standard AC unit you choose, you’re getting central air that you can count on. Regular maintenance and cleaning of your air conditioner is the most important thing you can do when it comes to increasing the life span of your unit and preventing breakdowns. Well maintained air conditioners can last 15-20 years or more, while a poorly maintained system will cost a bunch of money in repairs. Plus, a dirty AC unit will cost nearly twice as much to operate than a clean, well maintained system. © Copyright 2017 - Mechanical Climate Solutions. All rights reserved.